Building lot for sale located on the Trestle Creek Golf Course, 5th Fairway & borders Clark Fork River. Lot has water system, power & septic approved. Take advantage of this sales price! Now is the time to build your home. 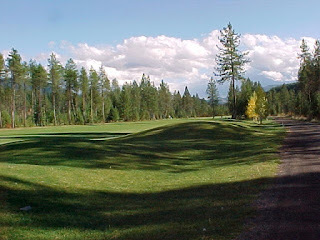 Lot is located in a friendly rural community in St. Regis, Montana. Golf from your front door, fish from your back door & watch wildlife from your deck. Lot is located in a recreational paradise in an upscale subdivision with nice homes & friendly people. If having these amazing amenities right outside your door aren't enough take a short drive to one of the many locations surrounding you. Lolo Hot Springs, Lolo National Forest, Flathead Lake, Seeley Lake, Glacier National Park, the Salmon River or the Red River Hot Springs are near by! Great place to build your home or weekend get a way. Call Judy at 406-822-2316 for your private showing. Priced at $39,000.